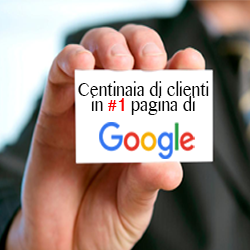 Almost every business in the world wants to rank on the first page of Google, but very few ever get there. With the best SEO will in the world, top-result status is a mountain many marketers struggle to climb. It’s not for want of trying. With Google’s algorithm changing constantly, it can be hard to keep up with best practices. Unfortunately, as with any supply and demand situation, there are also a number of unscrupulous “specialists” offering to help unsuspecting businesses raise their ranking. The blind leading the blind, often enough. Should you give up on SEO? Categorically not. Your search engine ranking can have a major impact on your business, driving traffic to your site and helping you secure more customers. As the saying goes, everything worth having is worth working hard for. I have put together this guide to help you out, highlighting nine roadblocks that could be holding your website back from ranking success. The most important thing to grasp when it comes to SEO is the underlying principle: Google wants to help its users. It really is that simple. When Google searches websites and decides where to rank them, what is really happening is a decision on how useful and relevant the content is to people using the search engine. The concept gets obscured sometimes, but that’s the most important thing to bear in mind–and it’s the logic that dictates each of these nine roadblocks. The algorithm changes pretty regularly, leaving SEOs everywhere scrambling to keep up, but you can’t go far wrong if you bear that principle in mind. Duplicate content isn’t useful content. Whether it’s your website copy or your blog pieces, Google proactively penalizes sites which don’t have original content. In the era of content marketing, people can fall into the trap of thinking that any content is worthwhile content. That simply isn’t the case. The moment you start sacrificing quality for quantity is the moment your traffic will plummet. But what if your website has pages with duplicate content? The likes of product pages or location-tailored landing pages? In these situations, you can use canonical URLs, which are a way of telling Google which specific instance of that copy is to be taken as canonical. Without a canonical version, Google would register the different URLs as duplicate content and penalize accordingly. You can easily check if your content will pass Google’s beady eye for duplicates by running it through tools such as Copyscape. Thin content is just as bad as duplicate content. Think back to our overarching principle–thin content (literally, not enough ‘meaty’ content) isn’t useful to users searching for information on a topic. It used to be that the Google ranking algorithm prioritized link building, but this isn’t the case so much anymore. With the introduction of the not-so-affectionately regarded Panda update, Google penalizes any site it deems as offering thin content. Think rich, in-depth, engaging content and you’re on the same lines as Google. This is even more important for highly-competitive keywords. To stand a chance of competing with the big boys, smaller businesses may want a content-rich site. As with every Google change in the past, the businesses that are penalized are the ones that put ranking first and their users second. Always think about how you can make your site more relevant, more useful, and easier to navigate and Google will reward you accordingly! The world of SEO is one of constant push and pull–new ways to rank are identified, those methods are abused, Google introduces new rules to penalize cheaters. And so on it goes. Anchor text has been far from immune. Back in the day, SEO was simple. Identify a keyword, then use that keyword a few times in your copy and in the anchor text. Hey presto, hello first-page ranking! Then people figured that out, and everyone jumped on the bandwagon. Dodgy SEOs started spamming their backlinks with highly optimized anchor text keywords, and usefulness and relevance took a back seat to bad SEO practice. Predictably, Google then changed the algorithm to actively penalize anyone who over-optimized their anchor text. The principle is to reward unique, useful content–and to stop people from tricking the system when that’s not what they offer. The key here is to focus on building a bank of rich, shareable, interesting content, instead of focusing on spamming your anchor text. Sure, it’s important to bear keywords in mind–without them Google can’t identify relevance at all – but don’t prioritize your anchor text over creating amazing content. Think human first, search engine second. Backlinks are still one of the most important factors in search ranking. Google uses backlinks to determine how relevant and valuable that content is–figuring that a link from page 1 to page 2 is effectively an endorsement by page 1 of page 2. In simple terms, if I link out in this piece to an article by, say, HubSpot, that link counts as a backlink for HubSpot and will help elevate their ranking. Backlinks followed the same cycle as the rest of SEO–first it worked well, then people figured out how to abuse it, now you can get penalized in Google if you don’t stick to stringent quality guidelines. Look back less than a decade, and SEOs were wildly building links–focusing on quantity much more than quality. Every site, every tactic, was fair game–from directory submissions and article directories to comment spam and guest blogging. That’s not to say that those are automatically bad practices, by the way. The point is that they’re bad practice, as with everything in this piece, if the people using them are focusing on manipulating the SERPs rather than adding value to users. Directory link building, for example, can actually be really valuable. There are directories out there that are really useful to users–providing high-quality, relevant lists of links giving an in-depth oversight of the topic area. The problem becomes when directories have low standards, allowing anyone in for a price, simply to build backlinks. You will probably have noticed a trend throughout this article. The best way to get onto directories that can help your SEO strategy is to write comprehensive, valuable content on a topic. Make the editor want to include you on the directory, by virtue of how good your content is. Guest blogging is the same. It is a legitimate practice, if done legitimately. Unfortunately, what a number of people did is start building links on poor quality, irrelevant websites simply to get the backlink. It doesn’t work. It’s spammy. Google doesn’t like it, people don’t like it, and it can damage your brand reputation. Saying that, as with directory link building, guest blogging can still be a useful strategy. Guest bloggers getting exposure on the high authority domains – Forbes, for example – are getting incredibly high-quality backlinks, plus exposure to a huge audience. How do you get a guest post accepted on an industry-leading platform? Your content needs to be exceptional. If you want to read more about good link building, you can check out mytraffic improvement guide published here on Search Engine Journal in March 2015. SEO is about balance. You have to think about keywords, because that is fundamentally how Google determines ranking, but you don’t want to think about it too much or you will get hit with a penalty! Page titles are an element that Google weights very heavily when deciding what your page is about and how valuable it is. The logic here is that your page title has to capture everything your page is about in a short character limit, so it’s probably a good indicator of content. It’s really important to include the core keyword you’re targeting in your page title, basically. Not only will this be better for your ranking, it is also better for your click-through rate as people can immediately identify relevance to their search query (page title comes up first on Google results). As with everything SEO, the importance of page titles is always shifting, but it’s still worth focusing on. Research from Searchmetrics actually suggests page titles are declining in importance slightly, but it’s important not to forget to optimize them. Even if Google decreases the importance of the page title as a ranking factor, it still has a huge impact on your click-through rate. This is another relatively recent change from Google, who announced last year that site security is a ranking factor. Basically, all sites that start with https:// are secure sites, and this will now have a role to play in determining ranking. It’s hard to determine how important this factor will be, but when it comes to SEO any boost is a worthwhile boost. Also, switching to secure https has the major benefit of improving your traffic referral data. We’re unable to effectively track visitors that move from a secure to an insecure site, so we can’t build an accurate picture of our traffic sources. If your site is https though, all visitors can be tracked, wherever they come from. Although switching to https is more effort than some of the other ranking factors, it’s definitely worth doing if you can. If not purely for the SEO benefits, for the better vision it gives you, as well as the increased trust you can build with consumers by offering a safe site. No-indexing is one of those things that seems really obvious, but it can so easily be missed. A single line of code hiding on your website, and your site is invisible to Google. Even big businesses fall afoul of no-indexing errors–I’ve worked with enough of them! This is one of the first things you should check, if you’re convinced you should be ranking in Google but aren’t. Search ranking can only get you so far. If your user experience is bad, it doesn’t matter how many visitors your site gets, because your bounce rate will be outrageous. Google looks for signals that people who visit your site find it valuable – one such signal is how long they stay there. A high bounce rate is an indication that your traffic quickly leaves, which Google figures to mean it’s not useful. Try and think from the perspective of a website visitor yourself – what do you find annoying, frustrating? What stops you getting what you need to do done? What makes you leave? All of these things come under the user experience heading, and are critical to getting users to stay on your site, which in turn is critical to getting Google to rank you favorably. With the best will in the world, reading a few articles online won’t make you an SEO expert. The world of SEO is confusing, ever-evolving, and time-consuming – so most people hire an agency to handle everything for them. Unfortunately, there is no shortage of charlatans in this game. It stems from the ease–and massive potential rewards–of cheating the system back in the day. Many SEOs still believe they can get back to the black-hat glory days, manipulating Google to secure high returns ranking. That simply isn’t possible anymore, but too many SEOs are still clinging onto the dream. Instead of genuinely taking the time to learn the SEO landscape–and keep on top of it regularly–they’re putting up a front. For clients, who often don’t know much about SEO at all, it can be an alluring front indeed. “I can make you rank first on Google,” they say: “Guaranteed first page.” Except nothing is guaranteed, and anyone who tells you otherwise is lying. SEOs who try to ‘trick’ Google are destined to trail behind the search giant, who pours millions of dollars and leverages the best minds in the world to stop people abusing the system. You might get lucky one week, but you’ll never win out overall. Instead, your best bet when it comes to hiring the right agency is to check references extensively. Ideally, you want to see testimonials, case studies, and tangible evidence of results. And you want someone who recognizes that SEO is about genuinely providing value, not about manipulation.